Welcome to this year's 40th issue of DistroWatch Weekly! Slackware Linux has been around for longer than any other existing Linux distribution - and for a good reason. Its stability, reliability and dependability are characteristics that have won over many Linux users, especially in the server arena. But is it also a good desktop distribution? Read our comprehensive review of the recently released Slackware Linux 13.0 to find out. In the news section, Andreas Jaeger updates his stable openSUSE system to the latest 11.2 milestone with "zypper", Joe Brockmeier reflects on the recently concluded openSUSE conference, Red Hat asks Supreme Court to abolish software patents, and Slackware delivers the first updates in its development branch. Finally, we are pleased to announce that the recipient of the September 2009 DistroWatch.com donation is KompoZer, an open-source WYSIWIG web editor. Happy reading! In late August, Slackware Linux, the oldest surviving Linux distribution, announced a major new release. An in-depth look at Slackware 13.0 seemed like a must-do review for DistroWatch - at least to me. When I reviewed Slackware 12.1 for O'Reilly News last year the results were somewhat controversial. Chris Smart, at the opening of his review of Arch Linux back in January, wrote: "When writing a review, I always try and view the distribution in the light of what it is expected to do - as claimed by the creators. Each Linux distribution is unique and they all have different goals. Some try to do and be everything, while others are very niche. Some want to include binary drivers and proprietary codecs by default, while others go out of their way to make a stand against such things. It makes sense that you cannot judge them all by the same criteria." I share Chris' philosophy when it comes to writing my own reviews and it is precisely that approach which prompted much of the harsh reaction to my review by a few of Slackware's most ardent supporters. If you visit the info page of the official Slackware website the first paragraph describes the distro: "The official release of Slackware Linux by Patrick Volkerding is an advanced Linux operating system, designed with the twin goals of ease of use and stability as top priorities. Including the latest popular software while retaining a sense of tradition, providing simplicity and ease of use alongside flexibility and power, Slackware brings the best of all worlds to the table." Note that "ease of use" is listed as a goal and mentioned twice for emphasis. Despite this claim ease of use is something Slackware is just not known for. Even with improvements in Slackware 13.0 I still don't think there is anything easy about this distro for anyone other than advanced, experienced users who are extremely comfortable on the command line and with editing configuration files by hand. For this review I am focusing on Slackware on the desktop. I started working with Slackware 13.0 four weeks ago with a seven month old Sylvania g Netbook Meso (1.6 GHz Intel Atom N270 CPU, 1 GB RAM, 80 GB HDD). That system suffered a hardware failure 17 days ago and is now being replaced. I completed the testing and review using my nearly 7-year old Toshiba Satellite 1805-S204 (1 GHz Intel Celeron CPU, 512 MB RAM, 20 GB HDD). Slackware has long been friendly to older hardware. That has not changed with the latest release which performs very well on the Toshiba laptop. Slackware 13.0 is the first release available with a native 64-bit edition. Unfortunately I did not have any 64-bit hardware available for testing so this review covers just the 32-bit edition. Slackware also has a well-earned reputation for reliability and stability. Those are the areas where the distribution has always excelled and that tradition continues with Slackware 13. Slackware 13.0 is offered for download on your choice of six CD images (three for installation, three for source code) or a single 3.7 GB DVD image. Those lacking a high speed connection can order either the CDs or the DVD, with or without a printed book called Slackware Essentials, from the Slackware Store. The DVD offering includes both the 32-bit and 64-bit versions on a single disc. CDs or DVDs of Slackware releases are also offered on a subscription basis. I chose to download the DVD image from one of the mirror sites. In addition to installing from DVD or CD there is support for installing from an ISO image on a local hard drive or across a network. Tools on the DVD also include support for PXE boot and for installation from a USB stick. Smart Boot Manager is included to allow creation of a boot floppy for systems with a BIOS that does not support booting directly from CD or DVD. I installed to the netbook using an external USB DVD drive and used the internal drive on the Toshiba so the installation process was the same on both machines. I booted from the DVD and a welcome message appeared on my screen. At this point you can choose the kernel the installer will use. The default hugesmp.s kernel is recommended for most systems. The huge.s kernel is a choice for older systems and is what you must select if you're installing on a classic Pentium or AMD K6 (i586 architecture) system. In theory this kernel can even support 486 processors. I hit Enter to take the default and the Linux kernel and initial ramdisk loaded, followed by a login prompt. After logging in as root (no password required) you have the option of partitioning your hard drive with fdisk or cfdisk, if necessary. As expected there is no GUI or guided partitioning tool. The other choice is to run the "setup" command which launches the actual installer. The installer has not changed significantly from what was offered in the 12.x series of releases. It is ncurses-based and is very much like the "expert mode" installations of some popular distributions. The advantage of a text-based installer is that it can run well on a lower specification machine and often offers greater flexibility. For these reasons I have consistently recommended the alternate (text-based) installation CD over the live CD for Ubuntu and related distributions. The Slackware installer, however, really does assume that you know what you are doing. A newcomer to Linux or even someone who has only done simple GUI Linux installations may well find the installation process confusing and there are a few points where just taking the default really isn't an option. There is excellent, detailed, well-written, but dated documentation in the /slackbook directory of the DVD. The Slackware Book, which was last updated in 2005, is also available online, with a new version promised this year. Despite their age, the documents should be adequate to walk a moderately experienced user through the process. One change in Slackware 13.0 is that ext4 support is now included and ext4 is the default file system. Support for ext3, ext2, ReiserFS, JFS, and XFS is also available during installation. Due to recent issues I've had with ext4 in other distributions I decided to use ext3 on one system and XFS on the other, both of which are tried and tested. The Slackware installation process is as flexible as any I've found. For example, you can select groups of packages to install but you can also then choose "Menu" mode to select individual packages within each group. This process is time-consuming but it allows you to have absolute control over what gets installed and ensure that nothing unneeded or unwanted is included. I did a somewhat selective installation with KDE, Xfce, and a couple of lightweight window managers, a good but certainly far from complete selection of applications, development packages, and kernel headers. My installation took up a little under 4 GB of hard disk space. A complete "kitchen sink" install would consume 5 GB or so. I also experimented with doing a fairly minimal installation into a different partition with X, a lightweight window manager, and a relative handful of applications and managed to keep it to 1.2 GB. I should mention that LILO is the only bootloader offered during Slackware installation (GRUB is available in the extra repository or in the /extra directory of the DVD image and can be installed later). The Slackware installer also doesn't correctly detect other Linux distributions which may be installed. Even the "expert" LILO configuration is quite limited in what it can do. If you are installing Slackware stand-alone then taking a default LILO installation should work. Once installation is done you will have to login as root at the command line and use the adduser script to setup any additional user accounts you need. For HAL to work as it does in most major distributions - i.e. where users are able to mount or unmount removable media, they must be members of the "plugdev" group. This is one of many configuration issues explained in the CHANGES_AND_HINTS.TXT file included on the root of the DVD image. I was criticized for failing to mention this file in my review of Slackware 12.1 and rightfully so. This file is absolutely required reading and will help avoid common pitfalls. The installer barely deals with X at all. If you've chosen two or more window managers/desktop environments you will be prompted to choose a default. However, there is no X configuration included in the installation process nor do you have the option to boot into X by default. Slackware does offer "xorgsetup", a standard command-line tool for configuring X. This worked perfectly on the Sylvania netbook. I was less successful with the old Toshiba which has a somewhat quirky Trident CyberBlade XPi graphics chipset. I was left with a small desktop surrounded by lots of black space, the same result I had with Slackware 11. I suppose that's better than the non-functional X configuration that Slackware 12.1 and 12.2 produced. Since I had an X configuration that I knew would work from my VectorLinux Light installation I just copied that to /etc/X11/ and I was up and running. Otherwise I would have had to manually edit the /etc/X11/xorg.conf file. If you want to boot directly to the GUI you will need to manually edit the /etc/inittab file and change the default runlevel from 3 to 4. Some manual configuration of the Slackware kernel is also highly recommended. The hugesmp.s and huge.s kernels enable support for an extremely wide range of hardware by default and are quite large. To have the hardware supported in loadable kernel modules, as is done by most distributions, you need to create an initial RAM disk image (initrd file) at the command line after first boot. Then you must manually edit your LILO or GRUB bootloader configuration to use one of the two generic kernels (with or without SMP support) and the newly created initrd file. The installer also failed to setup the system to load the kernel modules needed to support my laptop at boot. I had to manually add "modprobe toshiba" and "modprobe toshiba_acpi" to my /etc/rc.d/rc.modules file to correct this. On a plain vanilla desktop system this wouldn't be an issue but I suspect other laptop users, not just those with very old Toshiba machines, will need to do some configuration by hand to get their laptops to be 100% functional under Slackware. These manual configuration steps are perfect examples of why Slackware isn't easy for someone not used to old-school Linux configuration. Most truly user-friendly distributions automate these processes and offer appropriate choices during installation. One area where things have improved greatly since Slackware 12.x is wireless support. WiFi configuration isn't handled by the installer. In addition, the packages offered during installation don't include a graphical network configuration tool for wired or wireless connections, although, interestingly enough, a GUI tool for WPA configuration for use once wireless is up and running is included. But the situation is far better than it might appear at first glance. The wicd package is included in the /extra directory of the DVD image. Once wicd is installed configuration of a wireless chipset, provided it is supported natively by the 2.6.29.6 kernel, is no more difficult than in any of the major Linux distributions. I had no difficulties getting up and running with either the integrated Ralink wireless chip in the netbook or with the AirLink PCMCIA wireless card (Atheros 5212 chipset) I use with the old Toshiba. If you have a Broadcom chipset that is not natively supported by the kernel there is a bit more work involved as documented here. The most visible change in Slackware 13.0 is the update to its desktop environments. 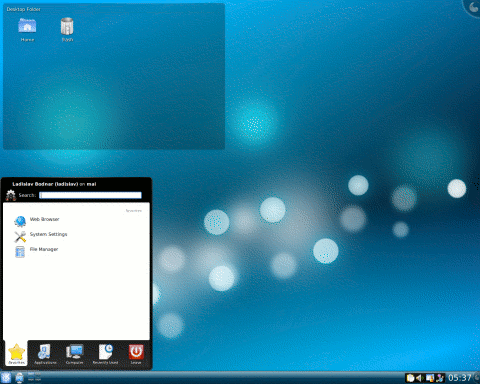 Slackware 13.0 is the first release to feature KDE 4.x, specifically version 4.2.4. I'm generally not a fan of KDE, largely because it tends to be more resource intensive than other desktops. I've been impressed with the look, feel and also the performance of KDE as implemented in Pardus Linux, so I wanted to see how the Slackware implementation looked and performed. Slackware's philosophy is to include "plain vanilla" packages and to avoid customization. The net result is that things tend not to be as pretty as in other distros until you customize the desktop to your individual taste. KDE 4.2.4 starts out pretty enough and is very easy to customize. As expected, the netbook was still quick and responsive running KDE. On the old Toshiba, KDE 4 takes a very, very long time to load, as in even longer than what I experienced with Pardus 2009. This surprised me since Slackware is usually a superior performer on older hardware. Once KDE was up and running, performance was much better than I expected. So long as you go off and make a cup of coffee or tea while KDE loads you actually can run it in 512MB of RAM under Slackware and the results aren't painful. Slackware also included the Xfce 4.6.1 desktop. Once again, installation is plain vanilla. Perhaps a bigger concern is that most of the applets, lightweight applications and plugins from the Xfce Goodies project are not included and are not in the Slackware repository. They need to be obtained from one of the third-party repositories that support Slackware. As offered by the distributor, the Xfce implementation in Slackware 13.0 seems grossly incomplete. As you'd expect, pretty much all the applications included with Slackware have been upgraded to what was the latest and greatest when Slackware 13.0 was released. For example, Firefox 3.5.2 and SeaMonkey 1.1.17 are available at install time and upgrades to the latest versions are available in the Slackware repository. One of the biggest changes under the hood is the way software is packaged in Slackware 13.0. Many Slackware derivatives have used LZMA compressed packages developed by The Tukaani Project for several years now while Slackware stuck with gzipped (.tgz) packages. XZ is the successor to LZMA. Slackware has adopted XZ compressed packages (.txz) for this release. The new format allows for a much higher level of compression without sacrificing performance. However, the new package format still does not include dependency information. The performance of Slackware 13.0, even on my ancient laptop, is excellent. Subjectively, it seems to be significantly faster than Xubuntu or Kubuntu, Mandriva and Fedora and somewhat faster than Pardus. The only current distribution that I've found to be at all faster than Slackware is VectorLinux, a Slackware based-distribution with performance optimizations. If you don't mind the work needed to configure Slackware, it is an outstanding choice for older hardware and systems with limited resources. Slackware 13.0 gives you a pretty minimal set of applications after installation, particularly if you decide not to install KDE. There is only a rather small repository, called "extra", with a very limited selection of additional applications. You won't find official Slackware packages for many very popular applications, e.g. OpenOffice.org. Absolutely nothing which depends on GNOME libraries is included. K3b, by far the best CD/DVD burning software for Linux, can be installed with QT and KDE libraries as dependencies, even if you don't install a full KDE desktop. If you have to do system administration tasks, e.g. adding or changing a user account, plan on doing most of it on the command line. Most network administration for a typical workstation can be done in wicd and if you've installed KDE and there is a generic KDE tool to do the job then you can work from the GUI. Slackware has no graphical system administration tools of its own. Package management tools are also restricted to the command line and do not include any form of dependency checking out of the box. It's very easy to add a piece of software only to find it won't run due to some missing library. Once you start adding software from third-party sources, this becomes particularly messy. Some repositories include dependency information and some don't. Even with the popular third-party repositories included, the selection of packages still lags behind distributions like Debian, Ubuntu or Mandriva. Having to figure out dependencies for yourself can be a recipe for dependency hell that's rarely if ever seen on other major distributions in 2009. Slackware, developed in the United States, complies with the DMCA (Digital Millennium Copyright Act) so, as you'd expect, multimedia support out of the virtual box is quite limited. Packages and instructions for adding proprietary codecs, if doing so is legal in your country, are available only from third party sources. During my first three weeks running Slackware 13.0 I have yet to find significant bugs. I prematurely called Slackware 12.1 bug-free and I won't repeat that mistake. Having said that, Slackware's outstanding reputation for reliability and stability will undoubtedly be maintained and continued with this release. This is particularly impressive for a "dot zero" release with major changes. As I've already noted there are a number of third party repositories for Slackware that can provide most of the applications and missing pieces that are found in the major distributions' repositories and some really obscure applications as well. The largest and best-known repositories of third-party Slackware packages are Slacky.eu and Linuxpackages.net. I've found that the quality of packages from these community supported sites does vary widely. In my experience, most Slacky.eu packages do work and dependencies are well documented. My recent experience with Linuxpackages.net has been spotty at best but they do offer packages nobody else has. Another smaller but important repository is the one maintained by Slackware developer Robby Workman. His packages are widely trusted and considered to be uniformly excellent by the Slackware community. Many Slackware users prefer to compile software from source code rather than using packages from third-party repositories which they might not trust. Compilation often can be simplified by sites that provide build scripts which automate the process. The best-known site for Slackware build scripts, a site recommended on the official Slackware website, is Slackbuilds.org. Slackware developer Eric Hameleers, better known as AlienBOB, also maintains his own SlackBuild repository. Proper dependency checking can be added to Slackware as well. Stefano Stabellini offers a Slackware mirror with dependency checking added. He is also the author of RequiredBuilder, a command-line tool usually used in package building scripts to create a dependency tracking file called slack-required. This file is used by third-party package managers, particularly Slackware APT (slapt-get and the graphical gslapt) and Netpkg to offer the same sort of dependency checking users of APT in Debian, Ubuntu, and related distributions are used to. These are the package management tools used by the user-friendly Slackware derivatives including, Absolute Linux, AUSTRUMI, GoblinX, VectorLinux, Wolvix and Zenwalk Linux, and there is absolutely no reason the same functionality can't be added to Slackware itself. If you invest a substantial amount of work and effort, it is possible to create a Slackware installation that is as user friendly as any other Linux distribution. Unfortunately, none of this is an adequate substitute for a proper and extensive repository maintained by a Linux distributor with sane package management, including dependency checking. This has been my principle complaint about Slackware for years now. In the comments following my last Slackware review it was correctly pointed out that if you use a relatively small number of applications and your system is fairly static, this becomes a relatively small issue once initial configuration is done. My point is that initial configuration and getting a system customized to individual taste takes considerably more work in Slackware than it does in other distributions, the ones that are genuinely easy to use. For those who like to try out lots of different applications and have a fairly large selection of software that they regularly use, keeping Slackware up to date and maintaining it becomes painful. The dependence most users will have on using third-party sources of variable quality is a major drawback of using Slackware. The alternative, building everything you need that isn't included from source, is time-consuming even with the third-party tools available and requires a fairly high level of knowledge on the part of the user. I've read comments stating that using SlackBuilds.org, a site that truly is excellent, makes this "trivial". For many people time just isn't a trivial thing. Slackware includes a full set of KDE i18n (internationalization) packages. The Slackware extra repository provides a full set of international Aspell dictionaries. All the international fonts provided by X.Org are also included. SCIM, Anthy, and the basic tools needed for Asian language support are part of Slackware. FriBiDi is also included for supporting languages written from right to left such as Arabic, Hebrew and Farsi. Slackware provides all the building blocks you need for supporting pretty much all the popular languages around the world. For those in a multilingual household or office, Slackware provides no easy way to switch languages. The two display managers (the application that provides a graphical login), which are included in Slackware, are KDM and XDM. Neither supports changing language and/or locale on a session-by-session basis the way GDM does. There is no simple tool, either graphical or at the command line, to do the same. I wrote a tutorial explaining how to make Slackware work in your language of choice earlier this year. Slackware also lacks translated documentation unless it's included by upstream application developers. (Some translations of Slackware documentation are available online.) The installer is in English only. In addition, no packages for localized versions of any applications are provided. There are also no language packs for Firefox, SeaMonkey, or Thunderbird. All have to be obtained from upstream sources. As with most everything else in Slackware, the most essential tools for proper multilingual support are in place but absolutely nothing is provided to make it easy or intuitive to implement those tools. The package selection for someone who wants their system in a language other than English is quite limited. Slackware 13.0 remains very much old school Linux. Despite some clear improvements in the new version, particularly in the area of wireless support, Slackware is still best suited to advanced Linux users who know what they are doing and are comfortable at the command line - despite claims to the contrary on the official website. The only newcomers to Linux who should consider Slackware are those who wish to really learn how Linux works under the hood and are ready to roll up their sleeves. If that's your goal, to learn how things work, then you'd be hard pressed to do better than Slackware. Even advanced users will find Slackware time-consuming to install and configure properly. The dependence on third-party or upstream sources for packages for many popular applications is troubling. The lack of a package management system with proper dependency checking is pretty much inexcusable in 2009. I have been told that I don't understand Slackware philosophy or "the Slackware way". On the contrary, I understand it. Understanding and embracing are two different things. I feel most users will understand the benefits of Slackware as well as the drawbacks. Comparisons to other distributions which do things differently are a valid part of reviews as is evaluating claims made by Linux distributors. Slackware fails in its claim of "simplicity and ease of use," at least in terms of any conventional definition or understanding of usability. On the other hand, in some of the most important areas I consider when evaluating a Linux distribution: stability, reliability and performance, Slackware is among the best distributions out there. I'd be hard pressed, in those areas, to argue with Slackware fans who say is the best. Slackware also gives the users absolute control over what goes onto their system and how things are configured. It is up to each individual to decide what is important to them and weigh Slackware's strengths and weaknesses. Slackware's strengths have created a cottage industry of derivative distributors promising a Linux system with the reliability and performance of Slackware and a user-friendly experience. Distributions like GoblinX, VectorLinux, Zenwalk and Wolvix have delivered on that promise. To me, Slackware is a fantastic base on which to build a first-rate distribution. Slackware remains Slackware. It has been around for a very long time and it has a very loyal following. It is very much a specialist or hobbyist distribution, not one that will appeal to most users, and is particularly unappealing to those who want things to "just work". Do I recommend Slackware? To Linux newcomers, generally no, I don't. To experienced Linux users, it entirely depends on what you are looking for in a distribution. Reliability and stability keep me coming back. Unfortunately, the work involved in maintaining Slackware generally means I end up turning to a different distro. The package manager for openSUSE has fast become one of the best of any distribution. It now sports the ability to upgrade between releases, so that users no longer need to download install media and reboot using the installer. Andreas Jaeger recently posted his experiences upgrading from the stable 11.1 version to 11.2 Milestone 8. He wrote: "After running my laptop for some time already on openSUSE Factory, I decided to update my workstation now as well to openSUSE Factory -- thus upgrading it to openSUSE 11.2 Milestone 8. Instead of the 'old' but still working way of burning a media, booting from it and upgrading my system, I did the 'new' way of upgrading to openSUSE 11.2: updating in place with 'zypper dup'." This method has been the default upgrade path for other distros for over a decade, so it is good to see this arrive on openSUSE. Will it become the default method for updating a system in the future? Will the package manager automatically prompt users to upgrade, or will users only be able to perform this function manually? The openSUSE conference finished up at the end of last month and Linux Weekly News has published an interview with Joe "Zonker" Brockmeier, the distribution's Community Manager. They discuss various aspects of the conference, which overall appears to have been very successful. Brockmeier writes: "The actual participation was fabulous. People were great at being self-starting and setting up their own sessions and generally making things happen once they were there. We had a great conference, and I think most people were very happy having attended." Brockmeier says that the format of the conference worked very well, saying that it was "very successful, I think -- people had enough structure to have some idea what to expect when they showed up, and then also enough freedom to plan their own activities. I hate going to conferences where you have no slack time and no way to talk to other people with similar interests without just skipping out entirely or staying extra days. So this gave people room to be part of a 'general' conference while still addressing their specific areas of interest. The GNOME team, for instance, headed back to the SUSE office to do a bunch of bug triage, which was awesome." From its very foundation, Red Hat has been a strong advocate of free software and today is the number one contributor to the Linux kernel. While users require a subscription to receive updates for their commercial products, the complete source code for Red Hat Enterprise Linux is available for anyone to use. As a result, several Red Hat clones, e.g. CentOS have emerged, building a free binary distro from the code. Red Hat also promotes the use of open data formats and provides a patent promise to help protect free software users from software patents. Recently they have submitted an amicus brief to the Supreme Court in the United States to abolish software patents, which are a threat to free software. The news announcement reads: "Our brief sets out the background facts related to software patents and asks that the Court address them. As most everyone in the open source software community knows by now, this is a serious issue." Hopefully actions like this will help to push the problems with software patents to the forefront and help to force the courts to deal with the issues. Finally, something for the fans of Slackware Linux. After a brief break following the release of Slackware Linux 13.0 at the end of August, the distribution's "current" (or development) branch, has seen its first changes over the weekend. These early updates were limited to a handful of packages, such as MySQL 5.1.39, Perl 5.10.1, Amarok 2.2.0 and OpenSSH 5.3p1, as well as a couple of security updates to PHP and Samba. GCC 4.4.1 is now in the "testing" directory. See the new Slackware Current ChangeLog for further information. There is no word on when KDE 4.3 will be uploaded, but for those impatient enough, you can download KDE 4.3.1 for i486 and x86_64 systems from this unofficial repository (we haven't tested these packages so use them at your own risk). Alexander Tratsevskiy has announced the release of Calculate Linux 9.9, a Gentoo-based desktop and server distribution. 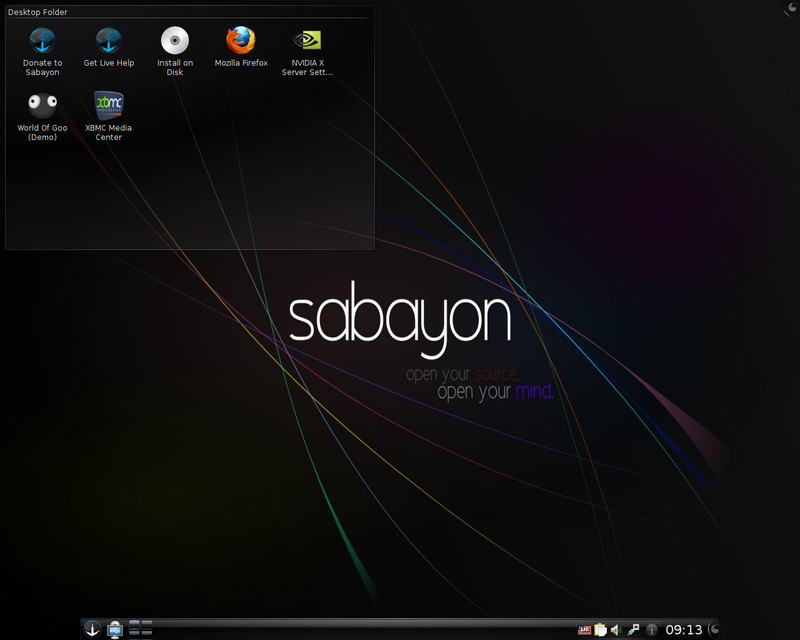 Changes in this version include: built on top of Calculate Linux Scratch; switch to Aufs as the live file system; replaced XChat with Konversation and GStarDict with GoldenDict, added KDE Partition Manager; Mozilla Firefox is now the default web browser; Compiz has been integrated with the Xfce desktop; added proprietary NVIDIA driver to the CLDX edition; updated to Linux kernel 2.6.30 and KDE 4.3; initrd and kernel are now packed using LZMA compressions; various other speed optimisations. Here is the full press release (in Russian). Manuel Kasper has released m0n0wall 1.236, an updated version of the FreeBSD-based firewall distribution which corrects a security issue in the DHCP client and includes some captive portal fixes from the 1.3 beta branch. From the changelog: "Fixed a security issue in the DHCP client; captive portal fixes - changed RADIUS timeout and maxtries from 5/3 to 3/2 reducing failover time from 30 to 15 seconds, added RADIUS attribute support for 'ChilliSpot Bandwidth Max-Up' and 'ChilliSpot Bandwidth Max-Down', fixed concurrent login detection, now case-insensitive, fixed Pass-Through MAC addresses in combination with RADIUS MAC authentication; SVG fixes for Internet Explorer 7 and 8; properly escape DHCP client hostnames in webGUI." Astaro has announced the release of Astaro Security Gateway 7.5, a specialist distribution for firewalls and gateways with a web-based system administration tool: "We are proud to announce that the general availability (GA) of Astaro Security Gateway 7.5 has been released. 7.5 includes great new features and functions, many of which were requested by our customers. To name just a few, there is a new intrusion protection engine, real-time bandwidth monitoring, a transparent HTTP proxy mode with captive authentication portal, and the ability to import and export various lists. Astaro 7.5 adds over 50 new features and conveniences and 700+ individual changes. This release is for all Astaro Gateway products." Read the detailed release announcement for additional information. Untangle, Inc. has announced the release of Untangle Gateway 7.0, a Debian-based network gateway with pluggable modules for network applications: "Today we announced our latest version, Untangle 7.0, which includes new reporting features that provide unmatched visibility at the Internet gateway to help small businesses identify web misuse and troubleshoot network issues for increased productivity. Untangle 7.0 enhanced reporting features allow small businesses to: monitor behavior at the user, client and incident level to detect productivity issues; understand traffic flows and network usage patterns to optimize performance; provide web content analysis to prevent bandwidth issues and policy violations; log access to sensitive data to respond to any security incidents; manage and reduce vulnerabilities associated with social networking and rich media sites." See the blog announcement and press release for more information. 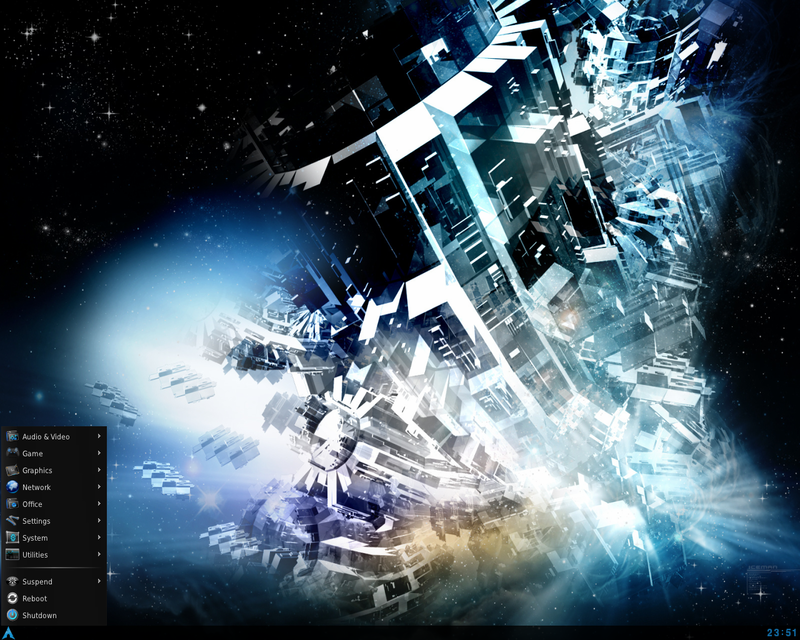 Mitsuhoro Kojima has announced the release of Plamo Linux 4.7, a Slackware-inspired Japanese Linux distribution designed for intermediate and advanced users. This release comes with some major software updates, including Linux kernel 2.6.30.7, GCC 4.3.4, glibc 2.10.1, KDE 4.3.1, GNOME 2.26, Xfce 4.6.1, ptetex3 20090610 and OpenOffice.org 3.1.1. KDE especially has been through some substantial tweaking which should make it a much improved implementation of the popular desktop. The distribution comes on a full 3GB DVD image, but for those who prefer to download just what they need, there are also five CD images, with CD1 containing the based system and X.Org, CD2 includes Xfce, CD3 has KDE, TeTeX and kernel sources, CD4 includes GNOME and OpenOffice.org, while CD5 has all the contributed packages. Read the release announcement (in Japanese) for further information. Flavio Pereira de Oliveira has announced the release of GoblinX 3.0 "G:Standard", a Slackware-based live CD featuring the KDE 4 desktop: "The GoblinX Project is proud to announce the released of the new stable G:Standard. In the past, GoblinX Standard included five windows managers and also supported five languages, but G:Standard is now the KDE distribution of our project and it includes only the default English language. Changelog: upgraded several packages and libraries including X.Org; fixed some errors and bugs; added a few more applications; made a few changes to the KDE desktop in order to improve usability; some GTK+ applications added to fill missing Qt applications; added Opera 10 with full Slik/Webmount support." Here is the full release announcement. 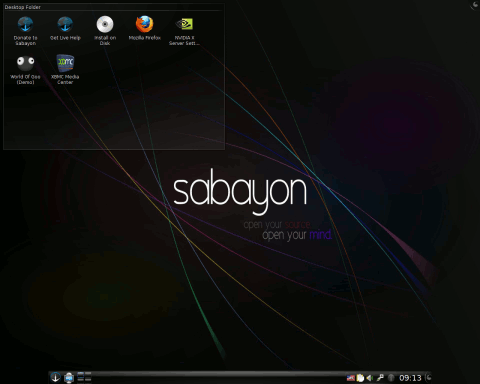 Fabio Erculiani has announced the release of Sabayon Linux 5.0, a desktop distribution and live DVD based on Gentoo Linux: "After tremendous, tough work, Sabayon 5 is eventually here with a joint release of GNOME and KDE editions. Dedicated to those who like cutting edge stability, out-of-the-box experience, outstanding desktop performance and beauty. Features: less than 2 GB size; based on new GCC 4.4.1 and glibc 2.10; shipped with desktop-optimized Linux kernel 2.6.31; installer now available in multiple languages; complete ext4 file system support; features X.Org 7.5 and up-to-date FLOSS, NVIDIA and AMD video drivers; GNOME 2.26 and KDE 4.3.1...." Here is the full release announcement. François Dupoux has announced the release of SystemRescueCd 1.3.1, an updated version of the specialist, Gentoo-based live CD designed for data rescue and disk partitioning tasks. New in this release: "Updated the standard kernels to Linux 2.6.31.1; updated the alternative kernels to Linux 2.6.27.35; updated NTFS-3G to version 2009.4.4 AR19 (NTFS-3G advanced release); updated the Memtest86+ floppy disk image to 4.00 ('memtestp' boot entry); updated Partimage to 0.6.8 (SSL can now be disabled at runtime); updated GDisk to 0.5.0 (GDisk is a GPT partition table manipulator); FSArchiver to 0.6.1 (crypto is now based on libgcrypt); replaced TightVNC with TigerVNC 1.0.0 and fixed the VNC server configuration; fixed DNS in the initramfs (required to boot from a URL using a hostname); added IOzone 3.242 (file system benchmarking program)." Here is the complete changelog. Matthew Summers has announced the release of Gentoo Linux 10.0, a special anniversary live DVD to celebrate the project's 10th birthday: "Gentoo Linux is proud to announce the immediate availability of a new, special edition live DVD to celebrate this monumental occasion. The live DVD features a superb list of packages, some of which are listed here: system packages - Linux kernel 2.6.30 (with Gentoo patches), accessibility support with Speakup 3.1.3, Bash 4.0, glibc 2.9, GCC 4.3.2; desktop environments and window managers - KDE 4.3.1, GNOME 2.26.3, Xfce 4.6.1, Enlightenment 0.16.8.15, Openbox 3.4.7.2, Fluxbox 1.1.1, TWM 1.0.4; office, graphics, and productivity applications - OpenOffice.org 3.1.1, AbiWord 2.6.4, GnuCash 2.2.9, Scribus 1.3.3.11, GIMP 2.6.4, Inkscape 0.46, Blender 2.49a.... The Gentoo 10.0 live DVD is available in two flavors - a hybrid x86/x86_64 edition, and an x86_64-only edition." Read the rest of the release announcement for further details. We are happy to announce that the recipient of the September 2009 DistroWatch.com donation is KompoZer, a web authoring tool. This monthly donations programme is a joint initiative between DistroWatch and LinuxCD.org, an online vendor of popular Linux and BSD CDs, which contributed US$50.00 towards the donations to KompoZer. 2009: Openbox ($250), Wolvix GNU/Linux ($200), smxi ($200), Python ($300), SliTaz GNU/Linux ($200), LiVES ($300), Osmo ($300), LMMS ($250), KompoZer ($360). Since the launch of the Donations Program in March 2004, DistroWatch has donated a total of US$22,143 to various open source software projects. DigAnTel. DigAnTel is a Digital / Analog VoIP telephone system using CentOS, Asterisk, FreePBX, Postfix mail server and optionally the OpenVPN server. DigAnTel is the glue to bind these technologies, thus creating a unified telephony system. The installation is completely automated and requires no working knowledge of Linux or Asterisk. EsiTux. EsiTux is an Ubuntu-based Algerian distribution created by the students of the IT department at a university in Algiers. It includes non-free browser plugins and media codecs, as well as many of the graphical system administration tools created by Linux Mint. The project's web site is in French. MyXbmc Passion. MyXbmc Passion is a Mythbuntu-based distribution for Home Theatre Personal Computers (HTPC). The project's web site is in French. Pandorga GNU/Linux. Pandorga GNU/Linux is a Brazilian KNOPPIX-based distribution designed for young children, containing a variety of games and educational programs. The project's web site is in Portuguese. Portable Linux. Portable Linux is a Gentoo-based live USB designed for advanced users. It is optimised for modern hardware and includes automatic hardware configuration as well as selectable hardware configuration profiles. VIPER VAST Live. VIPER VAST Live is a security-oriented live distribution that contains VIPER-developed tools, essential VoIP security utilities, and penetration testing software. Based on Ubuntu. And this concludes the latest issue of DistroWatch Weekly. The next instalment will be published on Monday, 12 October 2009. 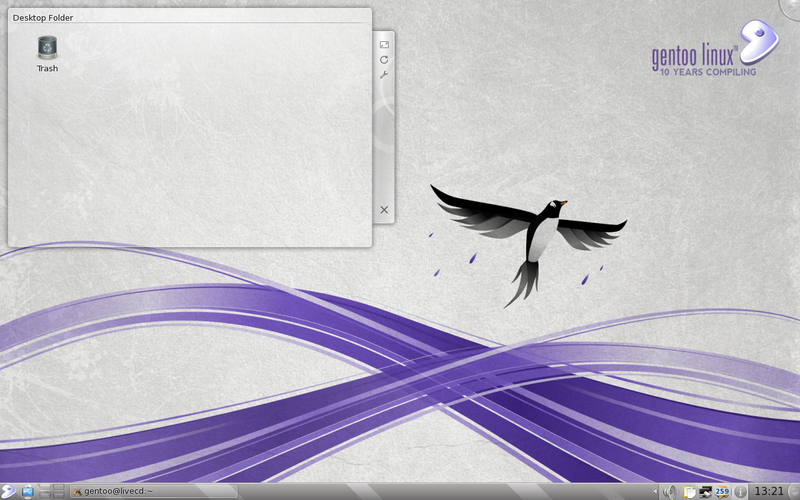 Ichthux was a free Linux operating system aimed at Christian users. 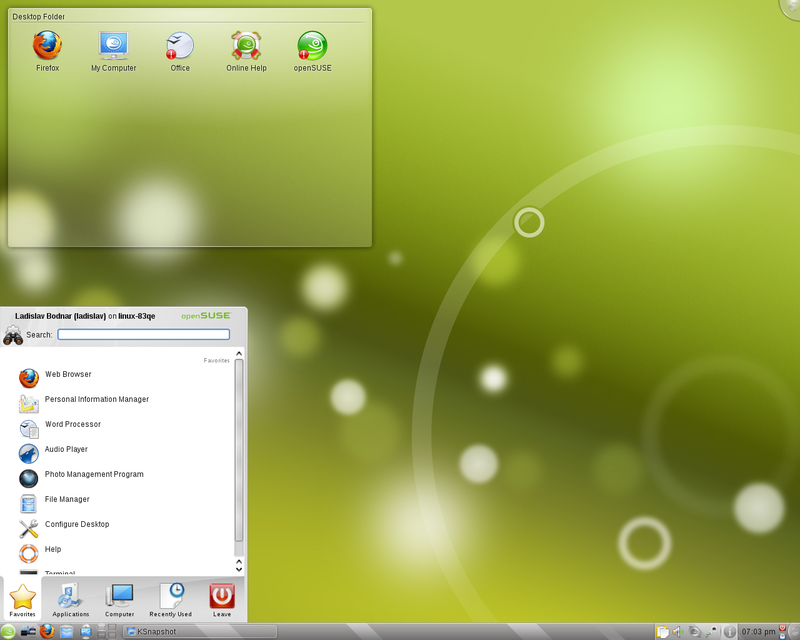 It was based on Kubuntu, which provides the easy-to-use KDE desktop environment with a variety of Christian software and settings, and was deemed suitable for use on computers in churches, Bible schools and Christian homes. The name Ichthux comes from the Greek word ichthus, which means fish.